Pam learned very early on the value of self-sufficiency and the need to lead and lend support. Her four sisters and brother rally and support each other through every obstacle. They never forget to also celebrate their victories! 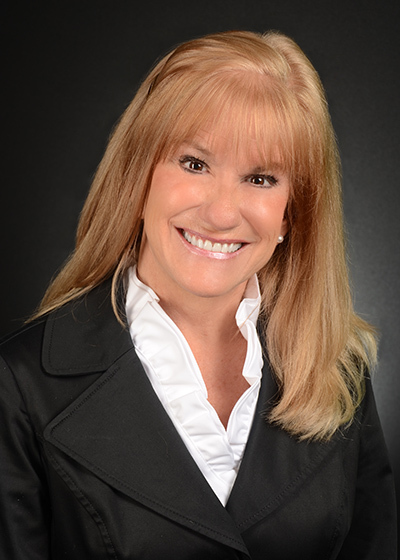 She brings that same support, strength and enthusiasm to serving her clients in their real estate transactions. A proud Houstonian, born and raised in Spring Branch, her earlier experience helped shape her personally and professionally, and her caring nature has been an integral part of her success, both in her earlier occupations working as a flight attendant and a teacher, and now in her chosen career as a Realtor. Pam's strengths include her gift for communication and negotiation. She knows how to present her Buyers and their offers in the best possible light. This invaluable skill has contributed to her success as a realtor and in life. She also smoothly guides Sellers with assistance in pricing and staging. Her vast experience with her own investment properties and decorating her personal home has helped to give her confidence and expertise in helping Sellers make difficult choices. All this adds up to some great people skills. Eager, hard-working, consistent, tenacious, positive, and easy to get along with, her innate friendliness shines through in everything that she does. Pam chose real estate because she’s highly motivated and thrives on challenges. More importantly, she loves just about everything associated with home ownership, including decorating, gardening, and whatever makes a house a home. After many years of friends calling her for assistance when they wanted to find a home, spruce up a room or get garden advice, she finally decided to make it her life’s work. Pam has a B.S. in Education, with a specialty in Health, Fitness and Reading. She has been a Top Producer in 2013 and 2014. She continues to grow her business. Pam recently earned the prestigious Accredited Luxury Home Specialist designation and also holds a designation as a Certified Home Marketing Specialist.